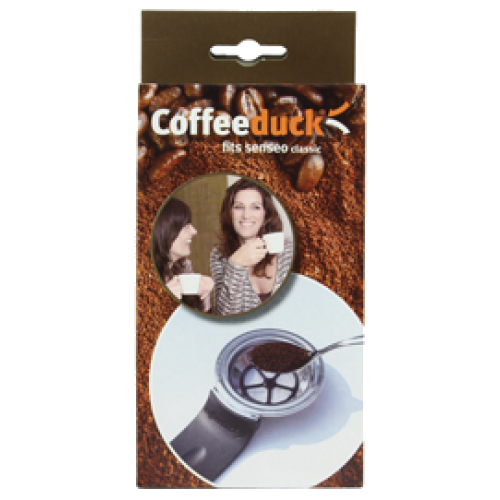 With Coffeeduck for Senseo classic, you can also use your own flavored ground coffee! The Senseo principle is based on the espresso system, well known in the catering industry, which use finely ground espresso coffee for full flavor. Until now Senseo coffee is made from finely ground coffee in bags. Since medium-and coarse-ground coffee provides thinner taste it is recommended that you use finely ground espresso coffee for optimal taste. • Optimum flavor with ground espresso coffee!